Classic beauty and brilliant light make this trio of lamps shine with undeniable style. 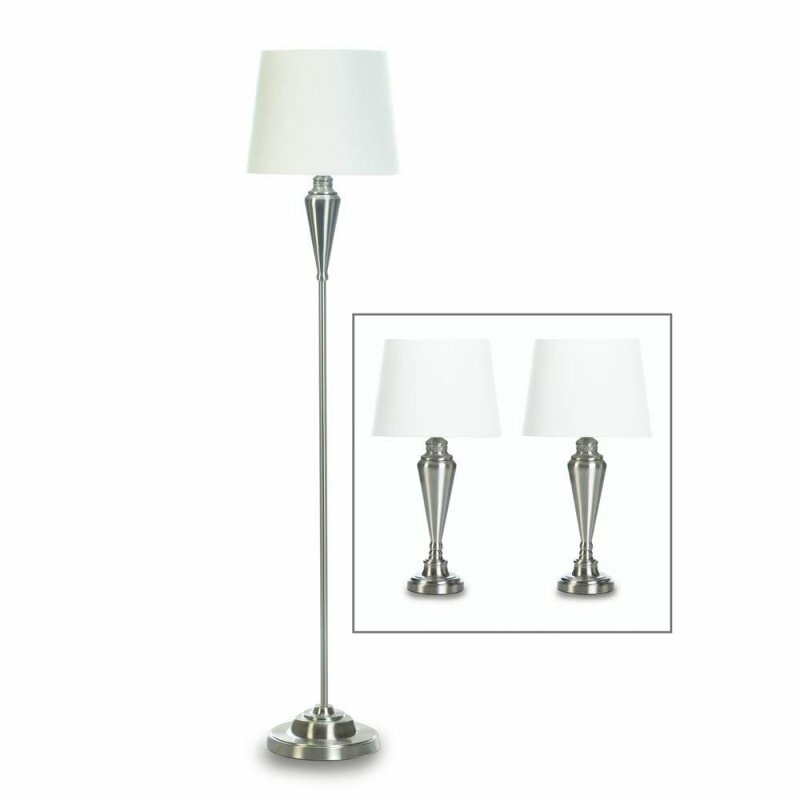 You'll love the two table lamps and tall floor lamp for both their classic detailing and high-polish nickel-plated glow. This truly lovely lamp trio works great in your bedroom, living room and beyond! Iron and fabric shade. Floor lamp: 14" x 14" x 62" high; power cord is appx. 91" long. Table lamps: 11" x 11"